When it comes to having batt insulation added to the home, it’s best to turn to the experts to ensure your new insulation is installed in the right places and in the right amounts. Countless homeowners in San Antonio, Texas, have chosen 31-W Insulation for all of their insulation needs. As a family-owned and -operated company that’s been in business since 1972, we pride ourselves in providing expert services to individuals throughout the region. If you notice any of these issues in your home, you can contact 31-W Insulation to find out if a lack of insulation is the cause of these problems. We offer free, in-home consultations where one of our insulation specialists visually assesses your home’s current insulation and provides you with an estimate if more batt insulation is needed. Then, at a time that’s convenient for you, we can schedule our installation team to precisely and efficiently install your new insulation so that you can begin enjoying the benefits of proper insulation quickly. 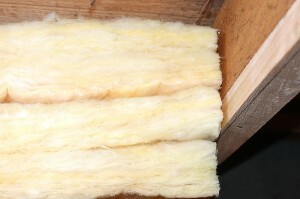 To get started having batt insulation added to your home in San Antonio, TX, contact 31-W Insulation today.